I know businesses usually do these types of posts right after the New Year, but hey I figured better late than never. Hope you enjoy and thanks for reading! Search engine optimization is a long term commitment. 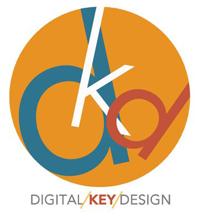 Once you start down the road of optimizing your website you can never turn back. Well not if you want to stay ranked anyway. 2. What to Expect from SEO? Now that we know what SEO is lets look into what you can expect from search engine optimization. Google is fast and getting even faster. Instant search has been giving us suggestions on what we may be searching for with only one letter. This post comes at a very interesting time in the search world. There has been much discussion lately of SEO being dead, or at least black and grey hat SEO techniques no longer being effective. There has been arguments of the value and ROI of SEO vs other forms of inbound marketing including pay per click advertising and social media marketing. This all makes the perfect storm for releasing this post which has been in cue since early February. The reason for me waiting to release this post is that while I believe everything I'm about to present was just as true then as it is now, I don't think as many marketers were aware of the changes occurring as they are now. Basically I didn't want to let the cat out of the bag early. The terms white hat and black hat don’t originate with search engine optimization. In fact white hat and black hat have been used long before search optimization was born. The term originally surfaced to distinguish between computer hackers. Those who were curious and wanted to understand how things worked and often times were paid to keep out criminals were called white hats. The black hats then by default became the term for criminal hackers. The whole thing was really a play on old black and white TV shows where the villain was always wearing dark clothes and hats and the hero always wore white! In the computer security context, a hacker is someone who seeks and exploits weaknesses in a computer system or computer network. Hackers may be motivated by a multitude of reasons, such as profit, protest, or challenge. The subculture that has evolved around hackers is often referred to as the computer underground and is now a known community. While other uses of the word hacker exist that are not related to computer security, such as referring to someone with an advanced understanding of computers and computer networks, they are rarely used in mainstream context. They are subject to the long standing hacker definition controversy about the true meaning of the term hacker. In this controversy, the term hacker is reclaimed by computer programmers who argue that someone breaking into computers is better called a cracker, not making a difference between computer criminals (black hats) and computer security experts (white hats). Some white hat hackers claim that they also deserve the title hacker, and that only black hats should be called crackers. SEO’s have borrowed the terms White Hat and Black Hat from the Network Scrutiny Community (Hackers) as it has now better labeled. 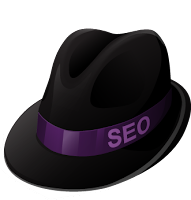 The SEO community has even added it’s own hat to the mix, Grey Hat SEO. 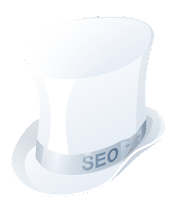 I’m now going to introduce yet another hat on behalf of the SEO World, but first a recap and overview of the various SEO Hats! This should really just be call White Hat. 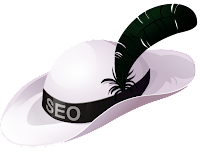 In my opinion, White Hat SEO is a web site and link building tactics designed and implemented strictly for the USER. User Focused Optimization is key here. I know many people will disagree with me on this one, but I truly believe all SEO is Grey Hat and I think Google would agree. So what does this leave us with. White Hat includes things like great web design, amazing onsite graphics, proper use of color, size and proportion. Having great onsite copy delivers your message quickly and effectively. White Hat would also include Conversions Optimization, A- B Testing and the creation of great onsite linkable assets. White Hat would never Build Links, White Hat acquires links from real fans, customers, news outlets and bloggers, just by doing their thing and being a great company with a great website and web assets. White Hat may optimize Title Tags and onsite text but only to get better user engagement and increase usability (UX). Insert the cheats, cons, scammers, spammers and any other search engine tricksters you can imagine. 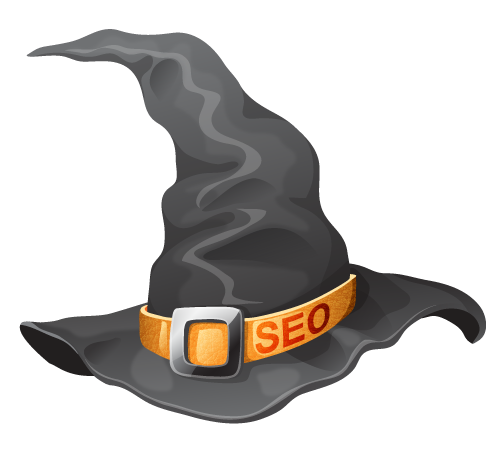 Black Hat SEO is Optimization focused strictly on “Tricking” Search Engines into ranking their sites better. Black Hats usually don’t care about good user experience or conversion rates. They generally don’t waste time building good looking websites or building a fan base. Black hats are playing a numbers game. They figure if they can trick the search engine into ranking them for even a few weeks or so for high volume search terms they win. If they get banned a week later they don’t care because they just start over again from scratch. This is why black hats don’t spend time building nice websites. Black hats generally make everyone mad , the search engine who don’t want to be tricked, the user that gets poor UX and often times scammed, and the Good SEOs who often times get a bad name as being guilty by association. I think this is really where SEO begins to enter the picture. If you are paying someone or being paid by someone to increase their search ranking, or even doing it yourself, you are a Grey Hat, at least by my definitions which is Optimization aimed at BOTH the USER and the SEARCH ENGINE. While some White Hat Claiming SEOs may not indulge in any of the darker aspects of Grey Hat (Digital Key Design included) they still operate with the end goal in mind of Ranking better in the SERPs and converting clicks to sales. No matter how small the amount of black you add to white and you get grey, thus the term Grey Hat. Now with that said there certainly is a wide range and a huge sliding scale of how dark your grey hat is. This is where I feel the real confusion lays. You have one company charging $49 a month for SEO and another $5000+. The types of things they’d be doing and the quality of work would vastly vary yet there is no terms to distinguish between the guy submitting you to 1000 spam directories a month and the firm doing real internet based marketing aimed at increased search queries and user engagement. This also leaves the industry as a whole at the wrong end of the Google firing Lines. There has recently been a few great posts on the topic of advancing the real SEO community beyond these tactics thus future proofing the industry and making it much more legitimate in the eyes of CEOs and other decision makers. I suggest you check out all of these posts on the topic. Even if we do manage to rise up above the SEO muck we are still left under the same Grey Hat umbrella title as the border line Black Hats and the OK Grey hats that just can’t get with the program. So what are we to do? Well I’ve come up with a new Title and new Hat that I feel is very fitting to this new style of SEO marketing both in name and nature. Insert Pimp Hat SEO! 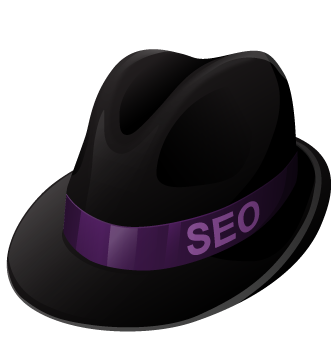 Pimp Hat SEO is my expression of what I have referred to in the past as SEOM – Search Engine Optimized Marketing. This is marketing focused strictly on the user and building a real community of fans that has been optimized for maximum search engine and social media exposure. While never engaging in Black Hat Techniques aimed at tricking the search engine there is an accent (the Black Feather) of techniques used to increase search visibility and convert traffic done in a very moderate and tactical manner. These techniques are only executed in a fashion and manner aimed at creating real user interaction and brand awareness. Pimp Hat SEO sets up web properties and assets that continue to work and bring in traffic long after creation. The goal here is to create a few targeted and strategic pieces of content that will do the heavy SEO lifting of bringing traffic and links over a long period of time. Once you have a few in place you can continue to build on this web equity and spend more quality time creating ever better Web Assets for the future. Using this approach your site will soon be Big Pimp’n and you’ll be drawing in traffic from your various assets with little to no effort. Pimp Hat SEO is planning and building for the future long term success rather than focusing on small short term wins that need to be done constantly often leading to poor quality content and low success rates. Pimp Hat SEO has also been referred to in the past as community building but I think Pimp Hat SEO is even larger than that. More recently there was this great White Board Friday Video by Rand Fishkin explaining what he calls a "Marketing Flywheel" which I think hits the nail on the head with what I'm getting at here. Pimp Hat SEO is the Future of SEO and Inbound Marketing! Disclaimer: This post references the term “pimp” out of jest from the point of view of an American where it is common place to see “pimp” costumes in the Halloween section every year and songs like Jay Z ‘s Big Pimpin'. We mean no disrespect to woman and do not condone the the abuse or mistreatment of any human being anywhere any time! Find out more information on how you can help prevent the mistreatment of women.